“I am not exaggerating when I say that ABACUS provides unparalleled bookstore financial information — and that it makes this data relevant and actionable to your business,” said Sindelar. 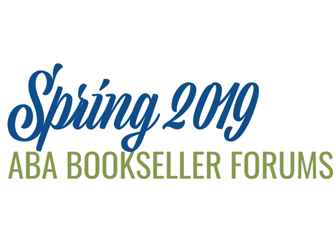 Michael Becher of Industry Insights talked with booksellers in the ABA Member Lounge at BookExpo about ABA’s annual financial benchmarking survey, ABACUS, which is accepting submissions now. The confidential survey of key bookstore financial information provides participating stores with in-depth, customized reports that are an important tool for improving business operations and profitability. This year’s Winter Institute will offer a session on the ABACUS financial survey and its new features, focusing on key trends and results and demonstrating how to generate reports that will lead to greater profitability. A link to the results from this year’s ABACUS survey, a one-of-a-kind tool that booksellers say is critical to their financial and strategic planning, was delivered to participating stores on Wednesday, December 6.